Serbia offers many choices for sports bettors, although the legality may be questionable at times. It is one of the six independent counties formed after the breakup of Yugoslavia. Serbia is landlocked country, positioned where Central Europe crosses into Southeastern Europe. Prior to 2008 Kosovo also formed part of Serbia, although now it is now recognized as an independent country by the majority of UN member states. In this guide to online sports betting you can first find a quick overview of how the industry has developed in Serbia. Then the online betting is looked at along with the taxation laws applied to the public. Following this you can see how the different sites accommodate Serbian players before finishing off with thoughts on how sports betting in Serbia might change in the future. After the Yugoslav states separated in the 1990s, Serbia continued to keep the 1964 laws applied to all forms of gambling. This meant operators had to first gain a license from the government which quickly led to gambling becoming a state run operation. Despite a casino opening in Belgrade in the late 1960s, the majority of operators were only allowed to offer a football forecasting game from dedicated kiosks and shops, which were also focused on the capital. In the aftermath of the 1990s wars a lot of Serbia was left devastated both politically and structurally. In this environment sports betting and other forms of gambling attracted a strong criminal element and illegal bookmakers were easy to find. It was not until 2004, as the state moved to a more democratic government, that they were able to address this. The Games Of Chance Act came into effect in 2005  and allowed all forms of gambling to become regulated and opened up the door for private companies. Prior to this there were 300 legal betting shops in Serbia, a number which rose to 1,728 after the 2004 legislation and gaming taxes and fees provided €155m in revenue to the Serbian government in the three years to 2008 . Despite the increase of legal sports betting operations the concentration still falls in and around Belgrade, and the unregulated operations are still rife throughout the rest of the country. The largest legal operator is the Meridan Group which operates many of the Belgrade shops and has launched their own online sportsbook after becoming licensed by Malta in 2008. While the rise in online betting sites grew throughout the 2000s, it was not until 2011 that Serbia addressed the online betting industry with legislation. Until that point any company could provide betting in Serbia without breaking any laws and without paying any taxes to the government. 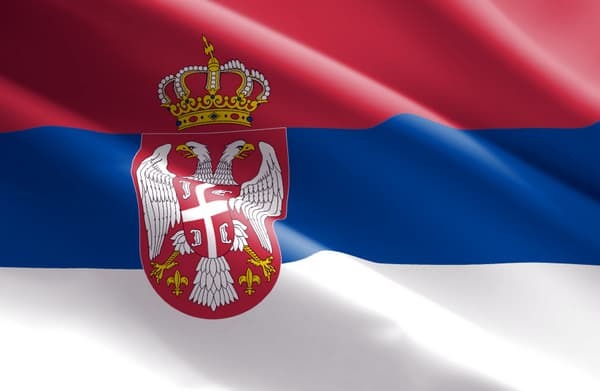 The legislation laid out the rules for operating an online business within its jurisdiction including taxes and charges along with the stipulation any company providing online games had to have servers with Serbia’s borders. This was followed up a few months later when ISPs were instructed to block access to 70 gambling sites . These included large industry names like Bwin.Party, 888, Betfair, Skybet and William Hill. This caused initial worries in the industry although it soon became apparent that the ISPs did not enforce the block, despite initial threats of prosecution, as they felt the order had no legal grounds. Some companies did pull out of their own accord due to legitimacy concerns elsewhere in the world, the fact the Serb market was not big enough to risk operating there or due to software deals they have with PlayTech, who also supply software to the Serbia’s State Lottery and their betting sites. Overall the effects were far milder than expected as there has been no follow up to enforce these rules by the government. Furthermore there are no laws in place to prevent citizens using international betting sites so you can still access the majority of sites with no interference. Ensure the betting sites you choose are respectable and licensed if you choose to do this. There has been no indication from the state that they intend to tax profits individuals make from gambling. Even if this was to change, with many companies operating a grey market, with no clear enforcement by Serbia, it seems unlikely the systems would be in place to correctly tax the public. Apart from the few state licensed operators there are some operators providing sports betting in the Serb language as well as customer support, although not a large number. The vast majority of sites however offer the major European languages and Russian. It is a similar story with trying to use the Dinar and in most cases when you deposit your funds will have to be exchanged and stored in Euros. This is a slight inconvenience as fees are normally deducted for currency conversions and you have to wager in Euros. Deposits can be made using Serbian credit and debit cards, including those with Visa and MasterCard branding. E-Wallets such as Neteller and Skrill also provide a quick online method and by having your wallet in Euros, it can cut out some of the currency exchanges when moving funds between sites. There were suggestions that Serbia may look to further regulate the online market in 2014 – although there has been no sign of this yet. As it is things seem set to continue as they are for now with a handful of state regulated sites among many international choices. This also makes sense when you consider that Serbia is attempting to join the EU soon, where it may be forced to allow EU licensed sites to operate regardless of anything implemented now.